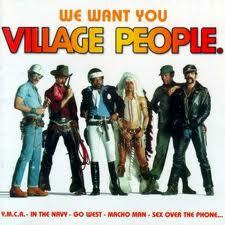 In a court ruling which has significant implications for the music industry, a Californian judge has dismissed a suit by two song publishing companies aimed at preventing Victor Willis, former lead singer of The Village People, from exercising his right to reclaim ownership of YMCA and a number of other massive Village People hits he wrote and co-wrote in the 1970s. The right to reclaim arose when the Copyright Act amendments went into effect in 1978 and it meant that songwriters could terminate copyright grants to publishers and record labels 35 years later. If they were to do so, however, they need to send their termination notices not fewer than two or more than 10 years from the intended termination date. The floodgates have opened! But Willis met with resistance from music publishers Scorpio Music and Can’t Stop Productions who countered by arguing (a) that Mr. Willis had no legal standing to reclaim the song’s copyrights because he had “no right, title or interest in the copyright” as the songs had been created under the provisions of a “works for hire” relationship – in effect Willis and his co-writers were employees of the companies that managed the group and (b) also further arguing that Willis could not reclaim his share of the song because a majority of the other copyright holders had not agreed. It was on the latter point that the court made it’s decision. Chief Judge Barry T. Moskowitz in the Federal District Court in Los Angeles rejected the song publishers’ claim that Mr. Willis was not eligible to reclaim his share of ownership of “YMCA” whose lyrics he wrote, and 32 other songs recorded by the Village People saying “The purpose of the Act was to safeguard authors against unremunerative transfers and address the unequal bargaining position of authors, resulting in part from the impossibility of determining a work’s value until it has been exploited ” adding in his 10-page ruling “under plaintiffs’ interpretation, it would be more difficult to terminate an individual grant than it would be to make it in the first place” and Judge Moskowitz added "It would be contrary to the purpose of the [Copyright] Act to require a majority of all joint authors who had, at various times, transferred their copyright interests in a joint work to terminate the legally permissible separate grant by one joint author of his undivided copyright interest in the work”. Interestingly, the issue of whether the songs were created as ‘works for hire’ remains undecided as the claimants withdrew that claim. Other acts including Bob Dylan, Tim Waits, Bryan Adams, Bruce Springsteen, Billy Joel, Kenny Rogers, The Doobie Brothers, Fleetwood Mac and Tom Petty are said to be similarly asking for the revision of both song writing and recording copyrights. The case is Scorpio Music SA v. Willis, 11-1557, U.S. District Court, Southern District of California (San Diego).